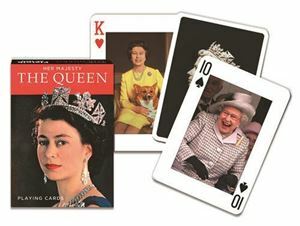 The 60th anniversary of the Queen's Coronation has been marked by a set of 6 stamps issued by Royal Mail featuring a range of the portraits for which the Queen has sat over the six decades of her reign. 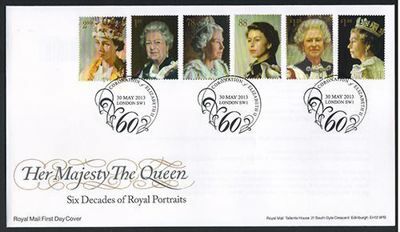 The First Day Cover is postmarked with a decorative 60th Anniversary London SW1 special cancel on the official Royal Mail envelope. This is complemented by the Royal Mail Presentation Pack, which includes the set of 6 unused stamps in an attractive gatefold type format with information about the portraits featured and the artists who painted them.